Author of "Rapture: Case Closed?" Q: The title of your latest book is Rapture: Case Closed? (question mark). Why not just Rapture: Case Closed (no question mark)? It would seem that with all of your research and the conclusions you make, there should be no question that you have solved the case for the Rapture. So why did you title your book the way you did? A: There are four main theories about the timing of the Rapture. According to a Lifeway research study from earlier this year, 26% of Protestant pastors don’t believe in the rapture at all; 36% believe Christians will be rescued into heaven prior to any hard times beginning here on the earth, 18% believe Christians will endure all the hard times before being rescued, and 8% believe Christians will go partway through the hard times that are to come. We couldn’t have a more diverse collection of opinions, yet, everyone thinks they know the answer. So I titled the book “Rapture: Case Closed?” with a questions mark just to remind myself and everyone reading that we are frail human beings, and other Christians who love Jesus just as much as we do have different thoughts on this matter. Q: You took the highly unusual action of purchasing and mailing advance copies of your book to 1000 of the top religious leaders in America. What inspired you to do that, what exactly did you hope to gain from doing so? A: The only way Christians will ever be unified on this question is if the leadership of the church is unified. And that will only happen if we have a national church-wide discussion about this issue. Many denominations and institutions of higher learning are “clubs” where only one opinion is taught or condoned. We need a free and open debate on this issue. And what is the issue, is it the timing of the Rapture? No, although that is what everyone argues about. The real issue is whether or not Christians will face the Tribulation and the Antichrist’s deceptions and persecutions. If they will, it will be the greatest challenge in the history of the church. If there’s even the slightest chance that we will face that time, we need to prepare every believer. That is my call and passion. Q: There have been predictions of the end of the world in recent months. How do you feel about those predictions? A: These predictions, based on incomplete or bad theology, have made all of Christianity look foolish. It is a terrible witness. The on-going rapture "twitter war" over the internet also makes Christianity look bad and accomplishes nothing. That is another reason that I sent this book to the 1000 leaders. Only a national discussion among the experts can help resolve this issue. And this book is a great vehicle to begin the conversation. Q: What about those who favor a Pre-Tribulation Rapture position, who think they will be rescued before those times come? And what about those who believe the Antichrist was just a historical figure? Why would they prepare? A: They should prepare because we are uncertain if we will face Antichrist. If we aren’t a 100% sure we won’t, the risks are too high to not do so. The book has two sections. The first section provides evidence, dozens of never-before-published proofs that demonstrate we have every reason to suspect that Christians may enter and not avoid the Tribulation. The second section of the book is how to prepare. If this book is right, the Church needs to correct its course. So that is why I sent the books to the leadership —to encourage them to hold this conversation. We have to know the answer with Biblical certainty. It is too dangerous for Christians not to know. Q: What should churches be doing to prepare their congregations to face the Antichrist? And does the bible give us any insight on how to prepare for Antichrist? A: We overcome the Antichrist, in part, by understanding his plans. In Matthew 24, Revelation 6 and 13, Jesus gives us four signs of what would precede His return: deception by false messiahs; war and chaos; famine; and the great tribulation, which will include martyrdom of Christians and a great falling away by those whose faith is not strong. The book gives detailed instructions on how to overcome in the midst of each of these aspects of the Tribulation. Because the majority of churches have not believed Christians will face those things, they have not spent time researching what the Bible says about overcoming each aspect. Q: You make the case for a pre-wrath rapture, and you make a distinction between the wrath and the tribulation. Explain that. A: "Tribulation" means "persecution." God has not promised that we will avoid persecution; quite the opposite. He has promised that in this world we will face it (John 16:33). "Wrath" is the punishment of God from the hand of God. And God has promised He will rescue us prior to pouring out his wrath on the unrepentant. (1 Thess. 1:10). THE major disagreement between rapture positions is when the Wrath of God begins -- is it prior to the entire "Tribulation" period, is it only the Trumpet and bowl judgments from Revelation, or is it only at the very end? Solving this issue solves the entire rapture debate. Q: You reference several scriptures in the book that you believe prove your theory, but what is the most compelling scripture that points to a pre-wrath rapture? A: I actually think looking for that "one" scripture or proof to prove a position is part of the problem in the Rapture debate. All the scriptures fit together into a giant puzzle. Biblical truth requires that all scriptures line up in harmony. I think that is the power of this book —that all 450 scriptures within it line up with one, and only one, biblical solution. ​Nelson Walters is the Director of The Gospel in the End Times Ministries, an international ministry dedicated to assisting the Church live out the Gospel and the love of Jesus in light of prophesied future events. Nelson is a popular blogger, a conference speaker, and has written three books: “Are We Ready for Jesus?” (2015), “Revelation Deciphered” (2016), and “Rapture: Case Closed?” (2017). 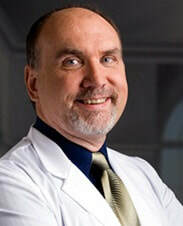 He is a bi-weekly contributor on RedState Radio’s “The Watchmen,” and a regular guest on the American Family Radio Network’s “The Moral Dilemma” as well as Joel Richardson’s “The Underground.” By trade, he is a practicing dentist, earning his Doctor of Dental Medicine degree, along with a Master’s degree in Business Administration and a Master’s degree in Health Administration from the University of Pittsburgh. Visit www.TheGospelintheEndTimes.com.